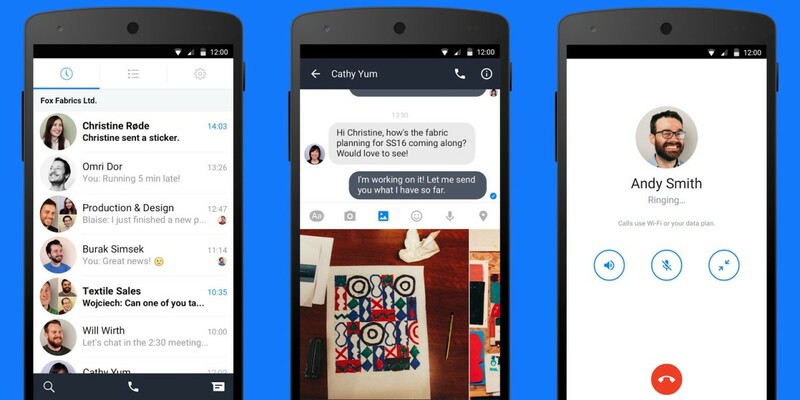 Facebook has launched Work Chat, a messaging app on Android for companies that use its Facebook at Work collaboration service. From the screenshots, it looks more like Messenger than rival chat services for teams like, say, Slack. Users can chat one-on-one or in groups, send photos and videos, and phone colleagues anywhere in the world at no extra charge. Of course, you’ll need a Facebook at Work account to use the app, which means your organization will need to have signed up for the service. Facebook launched its social network-for-companies in January in a closed beta; in September, it told Recode that it planned to open up a freemium version more widely by the end of the year. The new app rounds out the experience we saw in a preview at the beginning of the year, but at first glance it looks like it will have to do more in order to draw companies away from the likes of Slack, Yammer and HipChat, which all offer more features. There’s no word yet on when Work Chat will come to iOS. We’ve contacted Facebook for comment and will update this post when we hear back.